A retired nurse friend related a story last week told to her by the young waitress at the Vol du Vent restaurant in the picturesque beach town of White Rock, British Columbia. As the waitress was serving lunch, a train filled with coal passed between the restaurant and Semiamoo Bay. After her view cleared and the noise had abated, my friend mentioned her fear of the coal ports proposed for five Pacific Northwest sites and the harm to health the coal dust would inflict. The waitress claimed empty cars were the worst offenders. Her house is covered with dust that is not tamped by the surfactant sprayed on full coal loads. Black soot enters through her windows to rest on blinds and furniture. Colors in her early spring flowerbed are greyed. She was too young to think about health impacts, but her images were heartbreaking. 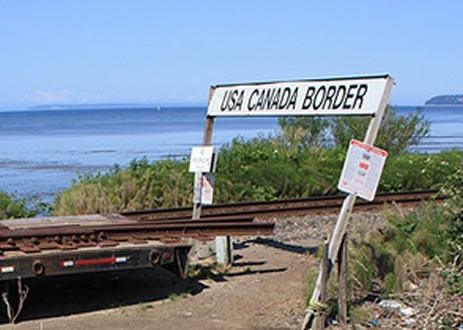 Sightline has been investigating Pacific Northwest coal ports permitting since the beginning and has an exhaustive blog series on the subject. The series often chronicles the bad news, including the dispiriting number of strategy and PR firms under contract with coal companies and law firms with deep ties to the industry. Williams-Derry’s article lists seven positive developments, the most impressive of which is that the coal port project at Coos Bay, Oregon was shut down. The last remaining partner, Metro Ports, withdrew after both Mitsui and Korea Electric Power Corp dropped out last month. “The port is moving on to the next phase,” said port CEO David Koch. What killed Coos Bay? The port’s press release blames it on an group led by the Sierra Club, whose arguments were both environmental and financial: Asian demand for coal is falling as pollution and the effects of global warming grow. These realities came first to the Asian partners, who suffer directly from coal pollution. Beijing’s heavy coal smog drifts to Tokyo, headquarters for Mitsui; the two cities have entered an agreement to pursue technical solutions. Seoul, headquarters for Korea Electric Power, has levels of sulphur and nitrogen oxide from coal burning in China that were four times over the acceptable level and is equally eager to forestall more coal burning. Korea Electric’s decision was undoubtedly due to financial reasons as well. As the Huffington Post reports, a spokesperson for Korea Electric blamed the timing of the investment. But like the waitress in White Rock, company decision-makers from both Asian investors in Coos Bay had personal experience with coal’s mal effects. And they are certainly interested in their company’s financial health. But when coal smog affects their families, profit becomes secondary. Local residents currently in the path of coal trains bound for the Gateway Pacific Terminal just north of Seattle sent most of the 124,000 comments to the lead agencies for the Environmental Impact Statement (EIS) Scoping Report, which highlighted public opposition as a key issue. Puget Sound Native tribes sued to stop coal dust from imperiling their salmon habitat and won $1 billion from the state in culvert repairs, a ruling that makes habitat protection another hurdle for coal trains. The Sierra Club issued an intent to sue rail and coal companies for coal dust pollution under the Clean Water Act, a direct attack on the coal ports. You might think that the only way these massive coal port projects can be stopped is by an equally massive force. And yet, that turns out not to be the case. It’s an executive in Korea, Native-Americans in Washington, lots of people protesting online, and a waitress in White Rock stirring up people who live 100 miles away. It takes the global village. Let’s hope the efforts continue. Photo courtesy of dherrera_96 via Flickr.